The food you feed your pet is important, and a complete and balanced diet is essential for your pet throughout their lifetime. 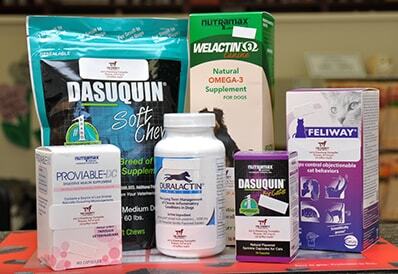 That’s why Tri-County Animal Hospital carries top of the line nutraceuticals and supplements for your dog or cat. 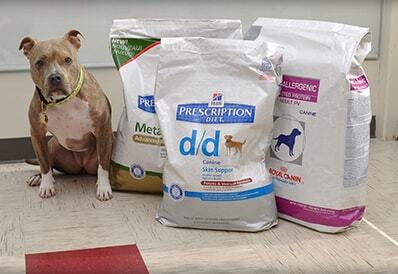 These products are specially formulated for the balance of optimal pet health and nutritional support. 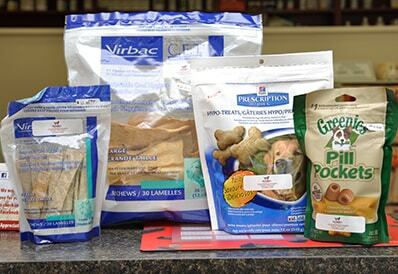 In addition, nutraceuticals and supplements can be used to address specific health conditions, and we carry a variety of diets that are designed to support any health issues your pet may develop during his or her lifetime. We would be happy to discuss your pet’s nutritional needs with, and formulate a nutrition plan for your his or her health! Call us today if you have any questions or would like to schedule an appointment to discuss your pet’s nutritional needs with us.